For countless centuries, mankind has watched as the sun goes down knowing that Luna will rise in its place, to rain her brilliant shards of light upon the Earth. But for the cursed and afflicted, that silvery orb brings horror and death. Luna's Children: Full Moon Mayhem is a collection of 22 stories of the werewolf. 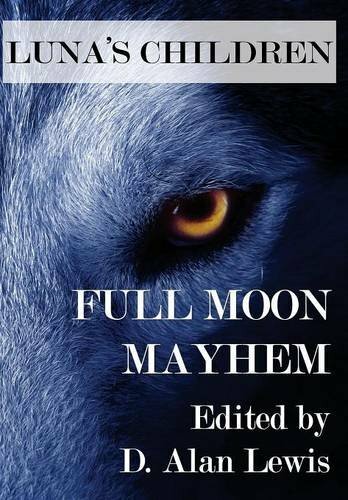 From the halls of a local high school to the bowels of a Civil War-era church, from the deserts of the American Southwest to the distant lands across the seas, from the horrors of the first kill to a lycanthropy support group, Full Moon Mayhem explores the many stories and possibilities of werewolves in the modern world.